A car can mean so much more than what it appears to be on the surface. It is your link to family, friends and work, and for many people, an expression of their livelihood and passion. Therefore, it is important to ensure that in the event of a claim arising, you are covered for both the financial and emotional value of your vehicle. Follow these tips from industry insiders to avoid any surprises when it comes to making a claim on your car insurance policy. Many cars these days do not hold their value like they used to. Cars depreciate very quickly following a purchase, and six months down the track you may find that your car is worth much less than what you paid for it. For example, a vehicle purchased for $10,000 in January may only be worth $7,000 in June the same year. The $3,000 difference between these two values is called depreciation, and can be a nasty surprise at the time of making a car insurance claim. When you insure your vehicle for its market value, you will only be paid out what the vehicle is worth at the time of making a claim. Conversely, insuring a vehicle for an agreed value allows the insured to nominate a figure (usually the price paid for the vehicle) that ensures a loss will not be made in the event of a claim. This will usually result in an increased premium but will also result in peace of mind. So, using the example above, a claim made for a vehicle insured for its market value will only result in a $7,000 payout if the claim was made in June, whereas a claim made on an agreed value policy will result in a $10,000 payout regardless of when the claim is made. Replacing a windscreen can be very costly for those without insurance. Many ‘comprehensive’ car insurance policies, however, do not cover windscreens by default, and it is important to ensure that yours does. Most insurance companies offer windscreen cover as an add-on at a slightly increased cost, so check with your insurer to see if this is possible. Sunglasses, jewellery, laptop computers and GPS units are commonly transported in cars on a daily basis. 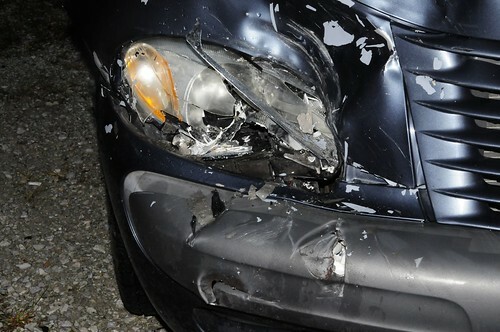 However, many insurance companies do not cover valuables stolen from a car by default. In many cases, customers are required to actively opt in to valuables cover, usually at an increased cost. Contact your insurance company to ensure that the full value of whatever a thief may steal from your car will be paid out in the event of a claim. Ultimately, it is important to thoroughly read an insurance policy’s product disclosure statement before making your first payment. It is also important to ensure that the price you are paying for your premiums is cost-effective but also meets your needs.